If you haven't heard the good news, Cullen Bunn is teaming up with Cat Farris for an all-ages graphic novel! The story centers around the friendship between an 11-year old boy and a ghoul named Lavinia! Read more about The Ghoul Next Door here! Bunn is one of my favorite authors, but his work is often a bit too dark for my kids so I am pumped to have a spooky tale to share with them. Captain America #7 - Steve Rogers is suspected of murder following a secret mission gone wrong. Following the takeover of America by Hydra by a Rogers look-a-like, Captain America was able to overthrow Hydra and a new threat took over. The Power Elite has successfully framed Rogers with murder and he is forced to turn himself over to the authorities. He has an ace up his sleeve and it involves Sharon Carter and his shield. This book harkens to the Ed Brubaker days and effectively highlights the inner struggle Roger faces serving his country when he doesn't believe in the direction it is headed. 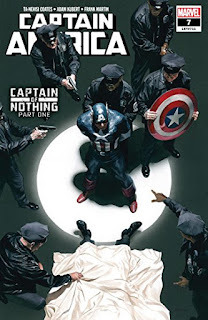 It is a bit too familiar with a struggle we are all currently facing, but has me very excited about a Captain America book for the first time in a while. WWE Forever #1 - Boom! 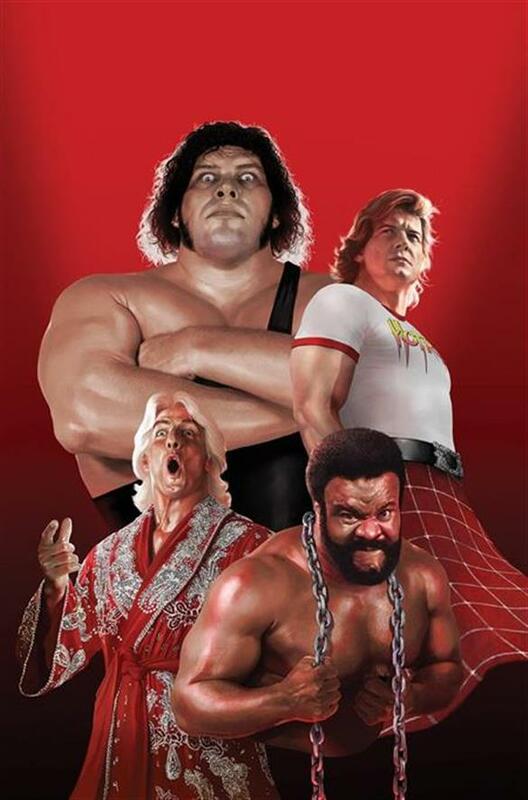 Studios delivered a fresh wave of nostalgia with a book featuring the professional wrestlers of my childhood. The timing of this book, right after the recent Royal Rumble, was right on the nose and I loved pouring through the five short stories featuring Brett the Hitman Heart, Andre the Giant, the Million Dollar Man, and others. If you are a fan of wresting, make sure you check out The Comic Book Story of Professional Wrestling, but also pick this up as it will pull on your heartstrings in all of the best ways. 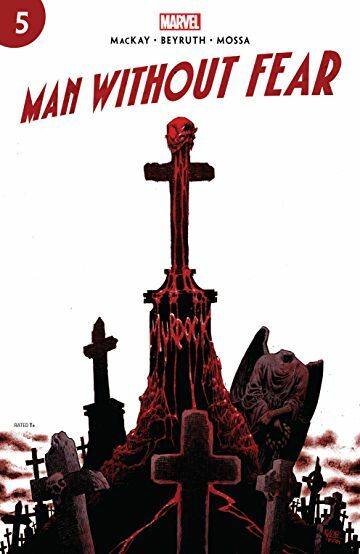 Man Without Fear #5 - Matt Murdock, via a flashback from his father during his recovery after he lost his sight, informs us that pain is a great motivator. He channels his father as he seeks the motivation he needs to complete his rehab so he can walk again. While that is helpful, the white elephant in the room is his confrontation with the fear inside of him. Murdock realizes that he doesn't need to be the man without fear, but the man who controls fear and instills it in his enemies. In a series that felt like a passing of the torch, Daredevil was more of the phoenix who rises from the ashes and is ready for a new day. This was a great transition to the new creative team and I am ready for a new journey with Daredevil.